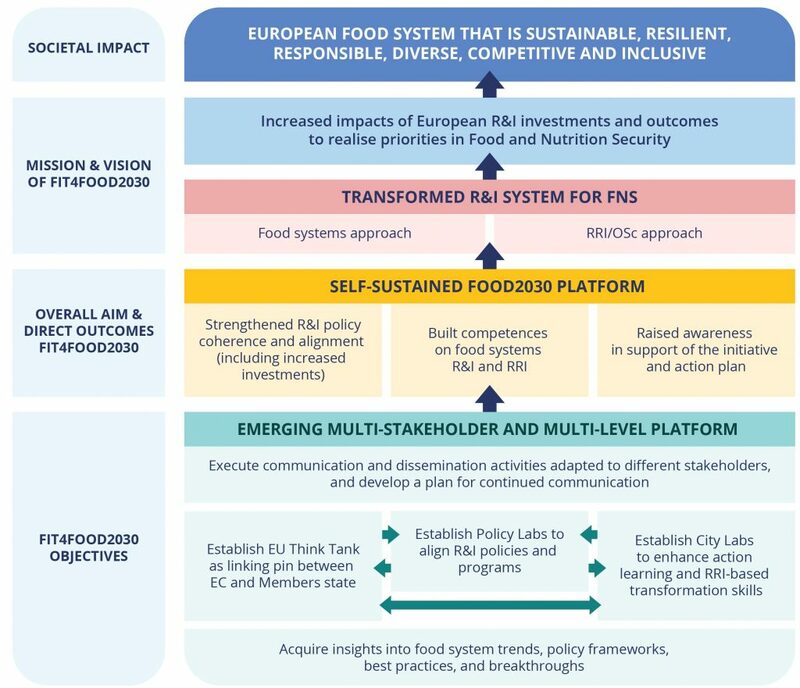 FIT4FOOD2030 seeks to contribute to these efforts by creating a platform that fosters RRI and use transformative learning processes to build competencies among citizens who are not currently actively integrated into decision-making. The Platform has 3 inter-connected components. First, the EU Think Thank acts as a link between the Commission and the Member States. Second, Policy Labs are meant to make use of the existing networks to align public and private policies and programmes on FNS. Third, City Labs are tasked with developing and piloting action-oriented training for local stakeholders: they will learn together and contribute to finding solutions to the challenges faced by our food systems, identifying the gaps and needs in formal and informal education, at different levels all the while paying special attention to STEAM practices. The City Labs will be run by science shops (in Amsterdam, Barcelona and ESSRG in Budapest) as well as local science museums (Athens, Milan, Sofia and Tartu). This will enrich the platform with the engagement of a wide array of stakeholders by connecting with the network of the Milan Urban Food Policy Pact, allowing for the integration of the greatest diversity of actors. Together, the City Labs will establish an EU-wide network, embodying a multitude of local stakeholders. The knowledge generated will feed into the development of transformative hands-on educational modules and training that build competencies on food and nutrition.